in collaboration with iker gil, luftwerk has created an immersive light and sound installation, taking place within mies van der rohe’s famous barcelona pavilion. the ‘geometry of light’ project sees an array of lasers projected across the building, highlighting and transforming the characteristics of the architecture. the installation is designed to reinterpret and emphasise the pavilion’s grid-like plan and horizontal and vertical planes. 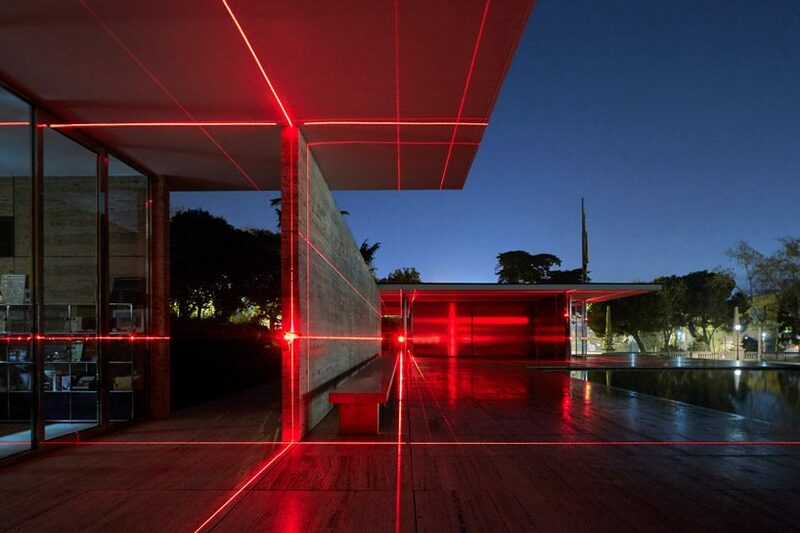 as the name suggests, the ‘geometry of light’ utilizes a grid of lasers to emphasise the rectilinear form of the barcelona pavilion and the formulaic grid which informed the plan of the classic building by van der rohe. 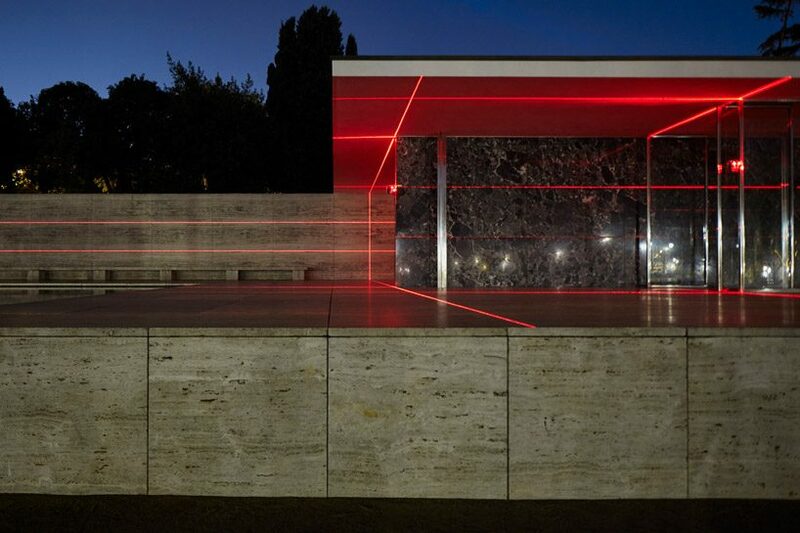 the striking red lights illuminate each and every surface, from the travertine floor to the marble walls. 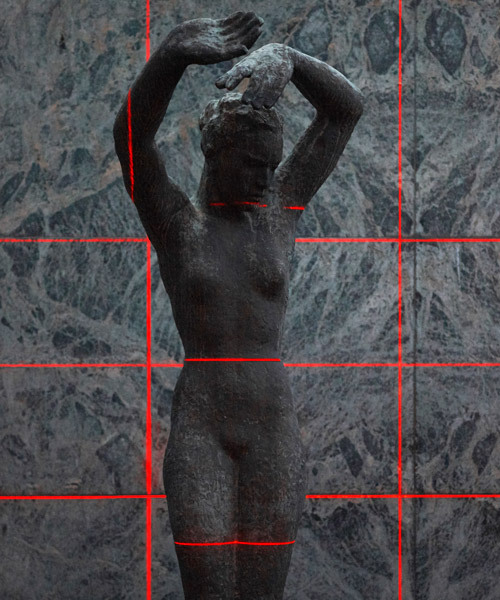 when viewed at a distance, the combination of lasers makes for an impressive display of perspective. 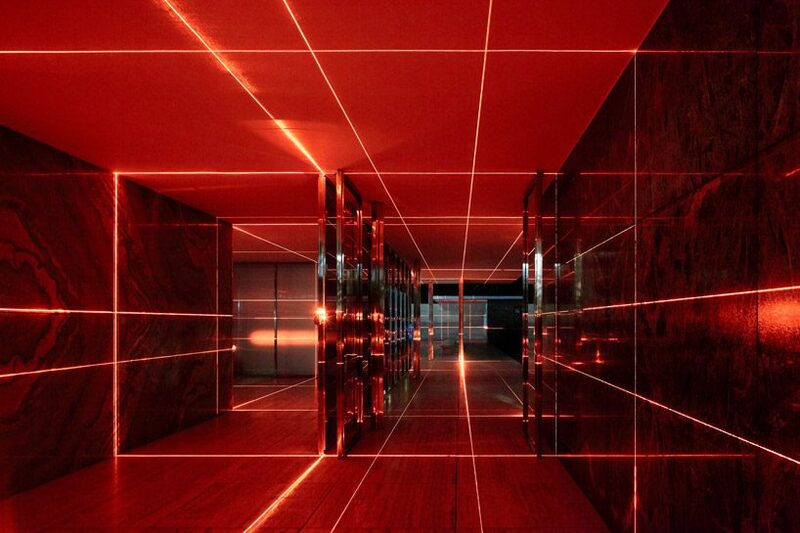 the laser projections have been designed by luftwerk and iker gil to a custom-designed sound piece by oriol tarragó. as the light and sound fuse together within the spatial installation, the result is a totally immersive experience that provides a new, altered interpretation of the classic 1929 building. 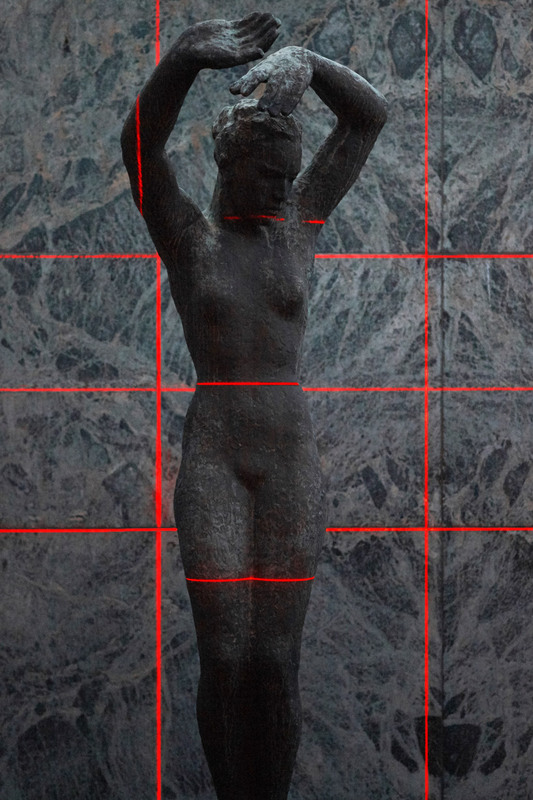 ‘geometry of light’ is open at the barcelona pavilion until february 17, then it will be presented at one of mies van der rohe’s other famous buildings, farnsworth house, in october 2019.